Advertising it's posting a link for everyone to get in on a deal. The message around these parts is a bit mixed.... You can in a round about way speak about Airtime, but don't you dare post a any deal about anything sold elsewhere.....I mean why would you want to spend $113 bucks when you can spend $300+? Makes perfect sense too me.... NOT!!!!!!!!!!!!!!!!!!!!!! It is all fine and dandy I suppose. I already know where to shop for certain things, so it really is no skin off my back. To be fair, rule #1 on the KBC forum guidelines states: "- no commercial advertising or posting links for that purpose." I assume this rule was created in responce to the SkyPilot issues. 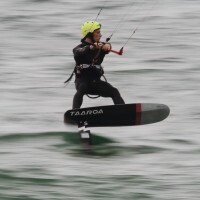 Welcome to kiteboardbc.com, the non profit community website which promotes kiteboarding in British Columbia. We focus on the lower mainland (Vancouver, Squamish, Tsawwassen) but kiters throughout the province may find this site useful. This is a free website with no sponsors and no advertising. We support the Squamish Windsports Society, the largest non profit society of its kind in Canada. We provide resource links for kiteboarders, a photo gallery of local kiterboarding, and a discussion forum where you can discuss issues like weather, equipment, stores, schools, tips and launching spots. 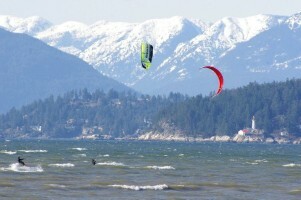 Another kiter unless it's within the local Vancouver / Squamish kite stores. Turn the other way for buying anything that direction of the province. Last edited by AF1 on Mon Jul 18, 2011 12:33 pm, edited 1 time in total. simple way ! avoid scams ! Is Brian2 the return of Brian? Brian, it was apparent that the post to which this string is referring was an attempt at some controversy - which you have accomplished, as in the past, by leading the sheep into the fray. It really is too bad that you feel compelled to do this. You have done some good and informative posts in the past... and some that have made me laugh. Just for the record, Brian is a really decent guy in person, always cheerful and an overall good guy to kite with. But, in my opinion, unfortunately he does seem to create some chaos around his posts every so often that piss people off - which cannot be entirely unintentional? I have nothing against constructive criticism, but as a business owner, I find speculations that criticize people and businesses that are entirely innocent of any involvement in the posts on this forum utterly disgraceful, especially considering how much these people and businesses do to promote the sport in our community. I have difficulty comprehending how some people can have so much disrespect and be so scornful and wreckless towards other people's livlihoods. AF1 and Tim_bc; perhaps in the future you could pm the moderators directly if you have an issue with running of this forum, rather than make accusations and that refer to innocent parties and deeply offend other users of this forum. RobH wrote: I have nothing against constructive criticism, but as a business owner, I find speculations that criticize people and businesses that are entirely innocent of any involvement in the posts on this forum utterly disgraceful, especially considering how much these people and businesses do to promote the sport in our community. I have difficulty comprehending how some people can have so much disrespect and be so scornful and wreckless towards other people's livlihoods. Give it a rest guys. There is no place for politics in kiteboarding. If you don't like the rules of this site don't use it. Chill out. This is lame.